The New Testament uses four different words to emphasize the more concentrated aspect of disciple-making that we often call “counseling.” The meanings and uses of these words help us to envision a well-rounded ministry that is geared toward helping people change. Parakaleo — First, according to Vine’s Expository Dictionary of Old and New Testament Words, the Greek word parakaleo means “to call to one’s side,” hence, “to call to one’s aid.” It is used for every kind of calling which is meant to produce a particular effect, hence its various meanings such as “comfort, exhort, desire, call for.” The Apostle Peter uses this word to urge Christians to abstain from fleshly lusts (1 Peter 2:11), and the author of Hebrews insists that believers are to encourage one another to be faithful to their local assembly (Heb. 10:25). God’s plan for personal character transformation has always included other persons in the community of the faith because normal spiritual growth does not take place in isolation, but rather alongside others. Protrepo — Second, the Greek word protrepo means “to urge forward, to push on, to encourage.” For example, when Apollos desired to go to Achaia, the brethren “encouraged” others to welcome him with grace (Acts 18:27). Therefore, we will discover that, from time to time and in varying degrees, every person needs to be motivated to keep pressing forward in his or her pursuit of the application of biblical truth to life. Noutheteo — Third, A Linguistic Key to the Greek New Testament says that the Greek word noutheteo means to admonish or warn. It means to put before the mind so as to “correct through instruction and warning.” It differs slightly from teaching in that it is normally a response to some kind of error or it is a warning against spiritual danger, present or potential. When Paul counseled the Ephesian elders about the danger of the emerging false teachers who would seek to make disciples by their false doctrines, he reminded them of the three years in which he did not cease to admonish them (Acts 20:31). Romans 15:14 teaches that believers should be able to admonish one another biblically. This should always be toward the goal of spiritual maturity (Col. 1:28), and therefore believers should appreciate the shepherds who give them instruction toward that end (1 Thes. 5:12). The noun form, noutesia, means “training by word—either of encouragement, when this is sufficient, or of remonstrance, reproof, or blame, where required.” Therefore, we will also discover that God’s plan for making disciples requires believers to care enough to confront one another when brothers or sisters they love are in error, and to firmly warn or instruct them concerning their spiritual danger. Paraineo — Finally, the Greek word paraineo means “to admonish by way of exhorting or advising.” An example of this is when, in the midst of a storm at sea, Paul admonishes his fellow sailors and urges them to keep their courage (Acts 27:9, 22). Therefore, we will also discover that the process of spiritual growth requires believers to give courage to their fellow companions on the journey of discipleship, especially when they are in the midst of the storms of life. In all these cases, these believers are “counselors,” with or without a title. And the counsel dispensed is always in the form of words spoken from the commitment of biblical love. Proverbs 18:21 says, “Death and life are in the power of the tongue.” As biblical counselors, we must take great care in the words we use with our disciples, for speech has the power to kill them with despair or to give them the hope of life. 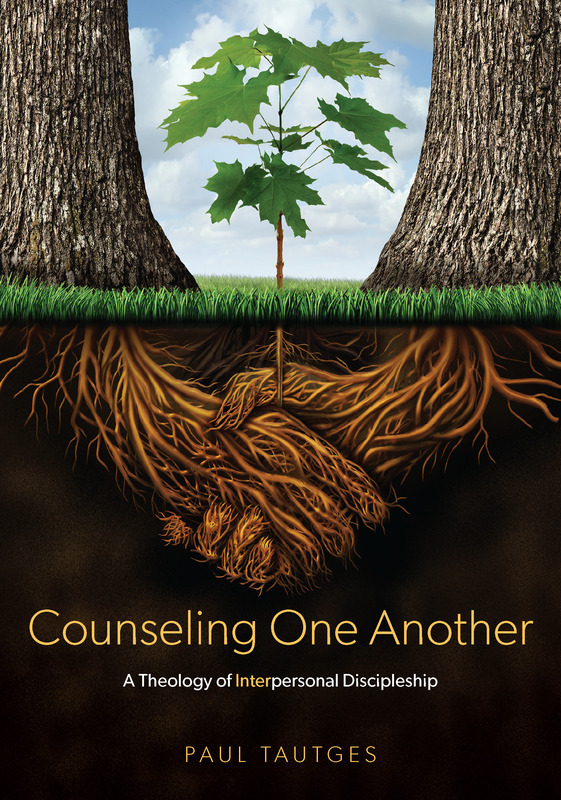 I appreciate David Powlison’s simple definition of counseling as “intentionally helpful conversations.” The power of biblical counsel lies in the degree to which our words are filled with the Word.